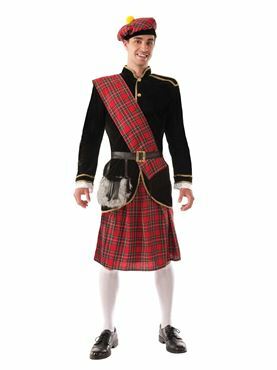 Our Adult Deluxe Scotsman Costume comes complete with the Black Military Style Jacket with the Gold Trim and Buttons along with the Brown and Gold Buckled Belt. 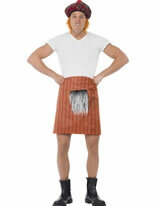 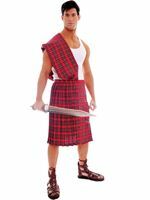 The Scots Costume also features the Furry Sporran Pouch. Completing the Look is the Red Tartan Kilt along with the Matching Sash and Hat with Yellow Bobble. 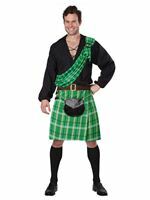 One Size 40" - 44" 34" - 38" 25"